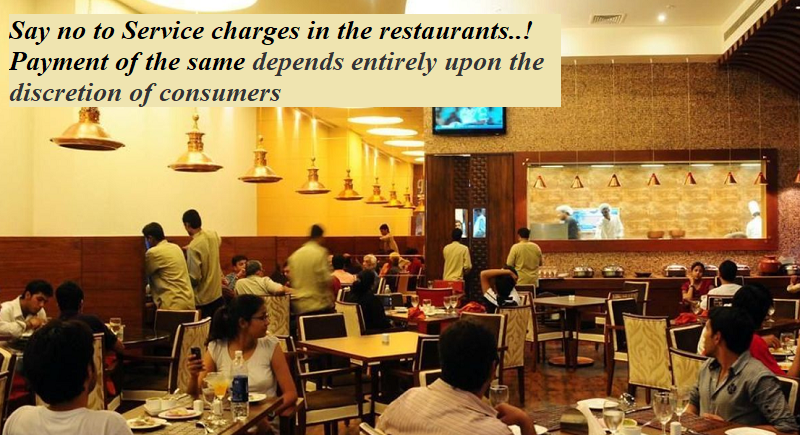 ﻿ News Bharati - Don't get duped by restaurant's service charges..! News Bharati - Don't get duped by restaurant's service charges..! Don't get duped by restaurant's service charges..! New Delhi, February 5: As an end consumer, we hardly pay attention to our food bill in the restaurants and most of us are not even aware of the components included in it. If you revisit your food bill from the pre-GST fine-dine experience, you’ll find Service tax, Service Charge and GST being added over and above the food value. The Government of India on Tuesday in the lower house declared that an aggrieved consumer can approach a consumer forum of appropriate jurisdiction for redressal of his grievance related to charging of service charges by hotels and restaurants. “Charging of Service Tax is not valid. The Government in April 2017 issued guidelines on fair trade practices related to charging of Service Charge from consumer by hotel and restaurants. As per these guidelines, service charge is optional and payment of it depends entirely upon the discretion of the consumers”, the statement read. The Minister of state for consumer affairs, food & public distribution, C R Chaudhary in the parliament today cleared that service charge is applied by the restaurants and not by the government. “Service Charge is not a tax”, he confirmed.